Has one of your friends or family members been arrested and charged with robbery or burglary? Is this the first time anyone you care about has been thrown in jail? We understand how difficult and confusing it can be to try to do everything you can for them if you don’t understand how the finer points of the legal system work. We built this page to help you during this confusing, difficult time. Here you will find information about the charges of burglary and robbery, what bail is, how a bail bond can help get someone out of jail for much less than the full bail amount, and why it is a good idea to call ASAP Bail Bonds in Gwinnett, Barrow, Cobb, and Walton Counties whenever someone you care about has been arrested. Call us 24 hours a day, seven days a week, or use the form below to request more information. In order to simplify and streamline the process of obtaining a bail bond, we have created this list that has all of the information and items you will need in order for us to begin processing a bail bond. For more information about premiums, collateral, or clarification about any part of the bail or bail bond process, please call ASAP Bail Bonds. We would love to answer your questions. If you do an online search for bail bonds, you will see many different companies who offer bail bonds. Some will talk about how cheap they are, while others might talk about how fast they work. At ASAP Bail Bonds, we offer affordable bail bonds in a hurry. In addition to low prices and quick turnaround times, our staff is also extremely knowledgeable and will do everything possible to help you through a tough time. 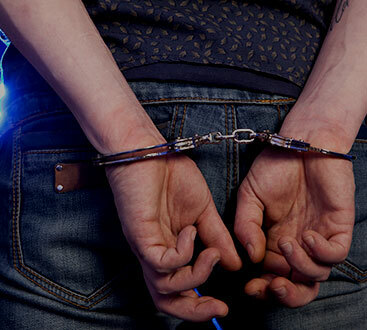 We understand that an arrest and serious criminal charges can be extremely disruptive, and we want to minimize the disruption by providing you with sensitive customer service. Call us now to schedule a consultation, learn more about our bail bondsmen or read on for in-depth information about what makes our company different. As a bail bond company, we want to help people save money. With this in mind, we do everything we can to keep our costs as low as possible in order to make your bail bonds affordable. This means that our premiums are low and that we are honest and upfront about all costs. We have worked as bail bondsmen for many years. Over that time, we have accumulated a vast wealth of knowledge about how the legal system works. This means that we can explain things clearly without having to use any confusing legalese, which is extremely helpful after you have been dealing with the police, lawyers, and court officials. If you have questions, please ask them; we want you to understand what is happening so you can make the best decisions. The justice system is not designed to be personable or caring. While it is necessary for the system to have some degree of coolness or distance from the people who are charged with crimes, when you or someone you care about has been arrested, you come face to face with just how cold and disconnected the system can be. At ASAP Bail Bonds, we are different. We understand that people make mistakes and that people can be arrested and charged with crimes that they did not commit. When this happens, sometimes a kind face or someone willing to listen is what you need to make it through that day. 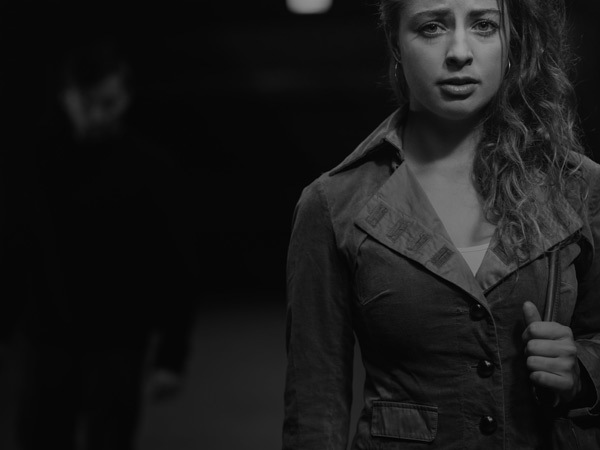 When you call us for help securing a bail bond, we will treat you like the human being that you are. You are not a number or a case or a statistic, and you should never be treated as anything less than a person. If you need a bail bond, call us as soon as possible. The faster you get in touch with us, the faster we can start working to get your family member or friend out of jail. No matter what jail in Gwinnett, Barton, or Cobb County your loved one is in, we will be able to get them home faster than other bail bond companies. In order to understand why someone has been charged with a crime or to better understand what the potential outcomes may be, it is important to understand how crimes are defined. In the case of robbery and burglary, those lines can get a little blurry, especially to people who don’t work in the court system. Below, you will find quick definitions of both charges. There are many circumstances that can change or modify a charge, so if you still have questions, feel free to ask when you call or stop by ASAP Bail Bonds in Gwinnett, Cobb, or Barrow County. Simply put, burglary refers to a crime that involves theft from property. If someone breaks into a home, business, or car with the intent to steal something or commit another crime, they can be charged with burglary. Due to an almost infinite number of variables that can be involved with any charge, it is impossible to discuss every kind of burglary charge on this page, but we are happy to discuss a specific charge over the phone or in person. There are several degrees of burglary, and the differences revolve around the type of property that was broken into. For example, it is a first degree felony to break into any home, building, vehicle, watercraft, aircraft, or railroad car, if it is designed to be a place where people live. Second degree burglary takes place when someone breaks into a building or craft that is not intended as a dwelling. While these differences may not seem large, they can have a profound impact on the amount of prison time one might face. A first degree burglary conviction carries a sentence of 1-20 years, while a second degree conviction sentence can mean 1-5 years in prison. Robbery is similar to burglary in that it involves one person taking something from another person. However, robbery is different because it means that a person takes that property directly from the victim, usually by force, intimidation, or threat. The charge of robbery is severe, and is even more severe if a weapon was used in the commission of the robbery. A robbery conviction can entail anywhere from 10 years to life in prison, or even the death penalty. The severity of the punishment can also be affected by who was robbed. For example, in Georgia, if someone robs and harms a pharmacist, and takes any controlled substance from the pharmacy, they face a minimum of 15 years in prison. People who have been charged with a robbery may face much higher bail that other defendants, if they receive bail at all. The inherently violent nature of robbery leads many judges to order defendants held until their hearing. If someone you care about has been charged with burglary or robbery and they have a set bail amount, please call ASAP Bail Bonds in Gwinnett, Barrow, or Cobb County. We will work as hard as we can, as fast as we can, to get them out of jail on an affordable bail bond. Bail is when someone who has been arrested and charged with a crime is released from jail before their trial. In the United States, it is fairly common for the court to put a number of conditions on the release of a defendant, including money, as well as restrictions on behavior. For example, it is a near-universal condition for release that the defendant not engage in criminal behavior. Other conditions may include refraining from drugs and alcohol, attending counseling, or being restricted from visiting certain places or spending time with certain people. The amount of bail depends on several factors. First, the severity of the crime. For minor traffic offenses and non-violent misdemeanors, the bail conditions may be fairly lenient. Felonies and violent crimes often come with much more strict restrictions and higher cash bail amounts, if the judge sets bail at all. Second, the criminal record, or lack of a criminal record, of the defendant may influence the court’s decision. Non-violent, first-time offenders bail is usually set lower than the bail of someone who is accused of a violent crime, or who is a repeat offender. Third, a judge may deny someone bail if they believe that the defendant is at risk of fleeing before their trial, or if the judge is concerned that the defendant poses a risk to the safety of the public. It is possible for a judge to allow a defendant to leave jail without paying a cash bail. This is referred to as being released on one’s own recognizance. Instead of a cash bail, the judge will make the defendant agree to return for their court date. As time has gone on, the amount of bail has increased to the point where only the wealthiest people could afford to put up enough cash. In order to help ordinary people get out of jail, bail bondsmen provide the cash to the court up front in exchange for a financial agreement with the defendant. For a small fee, called a premium, the bondsman will pay the court the full bail amount. As long as the defendant shows up to their court date, the bail is returned to the bondsman. If the defendant does not show up for their court date, then the bail is forfeited. If the defendant went through a bondsman, the bondsman can collect that money or the collateral listed in the bond agreement. How Much Does a Robbery or Burglary Bail Bond Cost? There is no set fee for a bail bond, but 10 percent of the total cost of bail is fairly standard. When you call ASAP Bail Bonds, we can discuss the specifics of your case and the overall cost of a bond, as well as any necessary collateral. Call ASAP Bail Bonds day or night if you need to get someone out of jail. We are here to provide you with the best possible customer service as well as the lowest premium costs. You have the right to get out of jail, and we make it possible. We have served the communities of Gwinnett, Barrow, and Cobb Counties for years, and we would like to serve you. Contact us for more information or to learn more about our free warrant search that covers the greater Atlanta-metro area. In addition to helping people who are facing robbery and burglary charges, we can also assist you with bail bonds for DUIs, drug charges, and more.